Home » Blog » Alzheimer's » Do You Need Respite Care or Adult Daycare? What’s The Difference? 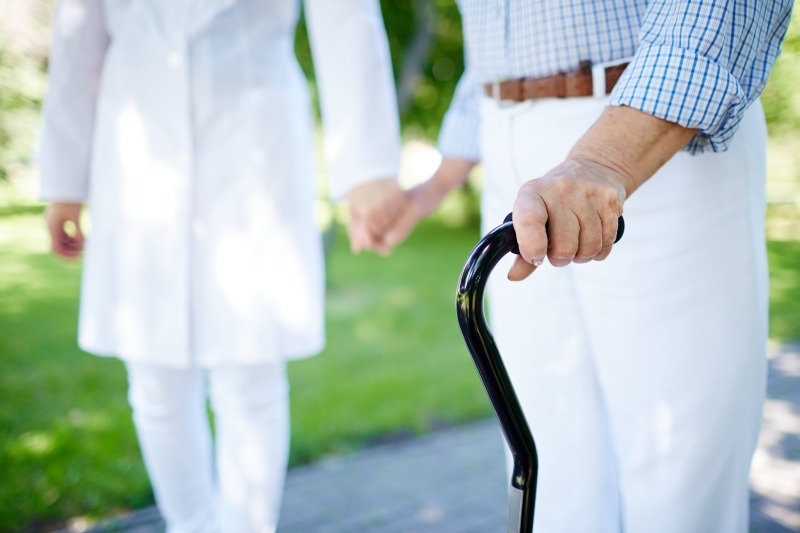 Do You Need Respite Care or Adult Daycare? What’s The Difference? When you are a caregiver there are times when you must have someone else fill in for you. Maybe you have a full-time job or maybe you just need a break from all of the demands of being a caregiver. Deciding what kind of help you need should be the very first step. If you need full-time or part-time care maybe through the week so that you can go to work then Adult Daycare is probably the best option. It can be less expensive than hiring a home health care worker to come to your house every day. Maybe you need full-time or part-time care maybe through the week so that you can go to work . Maybe your loved one just needs the stimulation that socialization can bring. Then Adult Daycare is probably going to be your best option. It can be less expensive than hiring a home health care worker to come to your house every day. Adult Daycares can take care of medication management, meals, and even entertainment for a certain number of hours of the day or days of the week. This is an option that I am considering for our family. I’m afraid our companion caregiver didn’t work out and now mom is stuck with just me for company once again. This way she could attend a few days a week and spend time with other people her age. I haven’t signed up yet, but I am getting there. I’m thinking when this move is over with. Another option for caregivers who might need care for a few weeks to a few hours is called Respite Care. SeniorAdvice.com defines respite care as; Respite care is essentially short-term care meant to provide relief for a primary caregiver. Many times, caregivers will use these care services when they are planning on traveling or leaving for a vacation. I’ve not tried this myself, but it’s nice to know that in the case of an emergency that it would be there. Say, I had to go into the hospital for a few days then I could have momma stay at a facility until I could pick her back up. It’s a safe way to not only get a break, but it also gives you peace of mind that they will be well taken care of while you’re gone. It’s hard knowing all of the answers and luckily with SeniorAdvice.com, you don’t have too. They do all of the hard work for you with their Senior Housing Search Engine. All you do is visit their site and put in the zip code where you live (or they live) and it will pull up a list of all of the providers in your area. Not only that, it gives you great information about the facility and the community surrounding it. They also provide reviews for those facilities listed. Even if you don’t need a Senior Housing Search Engine right now you can still find lots of valuable information at their site. It’s one of the first places I turn to when I need answers fast! As I was researching for this piece I found a terrific article called, “A Respite Care Checklist For Every Caregiver“. that has so much great information in it. If you’re considering using respite care of any kind I suggest you give it a read. You won’t be disappointed! If you’d life information on other housing options then you might want to check out What Are Your Senior Housing Option: What is Memory Care? or When To Choose Assisted Living and What Does It Mean? *This is a compensated post, but all thoughts and ideas come from me. Around me are several Adult Day Care Homes. Great tips. Who couldn’t use a rest from the same person all the time? Haralee recently posted…The Denial of Menopause Doesn’t Help! Now if only there was an option for husbands! Helpful advice – we’re currently trying to navigate ALL of this! Do you know of a good source for when an elderly parent who lives alone is temporarily needing help? My mom broke her wrist and can use someone to come in for a month, just for a few hours a week. If you don’t know off the top of your head, PLEASE do not spend even one minute researching a source. The last thing you need is more to do. Kymberly if you go to SeniorAdvice.com and put in her zip code it will give you a list of home health care companies in her area. There you find not only the address, but you will also find out about the company itself. You can even get pricing information from them! It’s a completely FREE service! Let me know how it goes! I’m just glad you’re here as a resource for when my parents start needing help. Me too! I will have to look into the daycare option. Maybe that will work out better. So many options, good thing we have you to explain them all. Thank you, always here to help! Your expertise helps me sleep better at night. Knowing where to go for answers when I need them. Thanks Rena! Thank you so much, I’m glad I can ease your mind. You always make these emotional decisions so much easier for the rest of us, Amazing Lady! Wish I’d had you as a reference for my Mom. But I have your knowledge and expertise now. For the future! That is so sweet of you to say, I wish I had been there when you needed. You’re too kind, I wish I had been there to help you with your mom. Such a wealth of useful info, Rena. My mom has a pal who could have used this info. She lived with her mother 24/7 and became absolutely exhausted. I’m off to share. Glad to help, thank you for the support. It’s good to know the difference between respite care and adult daycare. I think both are beneficial in their own way depending on the situation. I think that adult day care would be the best option for me. I could go to work without having to worry about my Dad and know that he is getting some essential social interaction from someone other than me. Thanks! Well I can’t say, whether I need it or not in the future. But if I reach that age, I’ll tell my kids that if they can’t take care of me then might as well they put me in an adult daycare or any home care facilities. I don’t want to be a burden for my kids. Caring for the elderly requires medical specialty that not all nurses are able to learn in school. Geriatric nursing or nursing care for the elderly is a special type of patient care that doesn’t only require skills but pure compassion and understanding. The most important aspect of care in your own home is the fact that you or your loved one will be surrounded by their own comforts, their own bed, their favourite mug, the neighbours they’ve known for years. This especially helps with progressive conditions that affect the memory such as dementia. Personalised care You or your loved one will receive a personalised care plan that is tailored to your needs as well as how you live your everyday life, so you can continue to live as you normally would but with that extra support when needed. A personalised care plan can means more dedicated time considering your health. The advantages of home health care are boundless. Recovery time is quicker, pain levels reduced, and most importantly the flexibility to recover at your own pace in familiar surroundings. Loss of independence can be a worrying factor when considering care options. But one of the main advantages of in home care is keeping the independence that you already have, and choosing to get up, eat, sleep, and socialise when you want to. A carer can even assist you on outings so that you gain more independence as a result of home care. A significant advantage of home care is the opportunity for your family and friends to be a larger part of your care plans. The care home’s most recent inspection report – This report will flag up any concerning facts about the care home on its facilities and staff. Just give them the care that they need and never neglect them. That’s what you’re supposed to do. Thank you for letting us know. These is a very good article. Thank you for the things to know about respite care and adult daycare. I really appreciate your efforts that you took time to explain the differences, great article through which I educated myself, thanks a lot for sharing.